Overall climatic conditions for the 2018 vintage were cool with frequent rainfall that favored normal development of the vines’ growth cycle. January weather was mild with little rain. Cold temperatures and snowfall marked the end of February and the beginning of March, followed by higher than average rainfall that helped replenish groundwater reserves in the vineyards. Rain showers in spring and the beginning of summer slightly delayed berry development. Hot weather set in mid July throughout all of August, which combined with excellent temperature fluctuations between day and night, promoted slow regular berry ripening. Grapes were healthy, at peak maturity with an optimal aromatic profile and excellent freshness. Harvesting operations began at the end of August. Grapes were brought to the cellar, destemmed and gently crushed. The must and the skins were chilled to a temperature of 10 °C (50 °F) and transferred to stainless steel tanks for a short period of maceration, approximately 2-4 hours, in order to enhance flavors and extract the aromatic profile. The different lots were treated separately, some went into oak and some into stainless steel vats where alcoholic fermentation occurred at a controlled temperature of di 16-18 °C (61-64 °F); only the oak fermented lots underwent malolactic fermentation. The wine was then blended and bottled. Bramito della Sala is produced from the vineyards surrounding the medieval castle at Castello della Sala. One variety that thrives in this terroir is Chardonnay. The vineyards are on soils rich in fossil deposits with veins of clay that give the wine minerality and elegance. Bramito della Sala’s first vintage was 1994. Bramito della Sala 2018 is bright yellow in color with greenish highlights. Complex and fresh on the nose, the wine offers delicate aromas of tropical fruit, pineapple and citrus fruit that blend with light sensations of hazelnut butter and vanilla. The palate has good structure, elegant and mineral; delicate notes of fruit reappear accompanied by excellent freshness and balance. 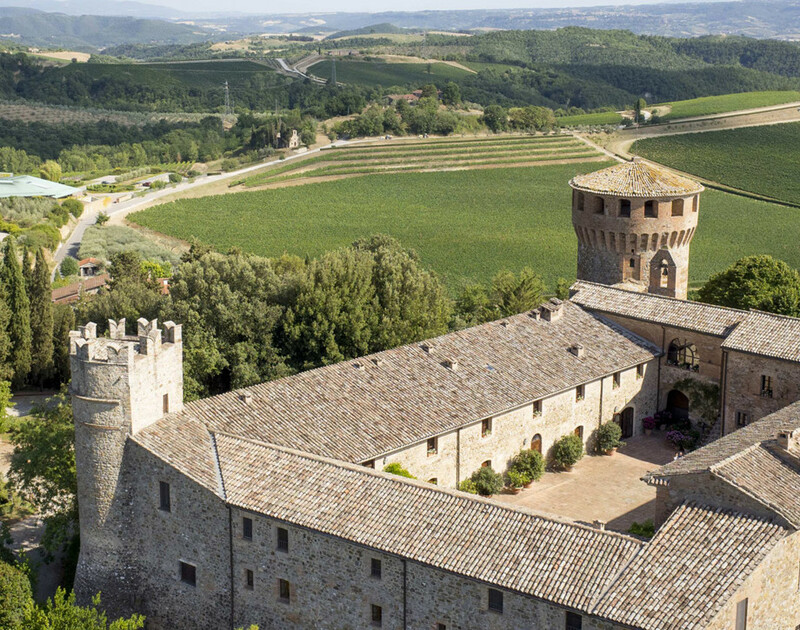 Bramito is produced from the vineyards surrounding the medieval castle at Castello della Sala. One variety that thrives in this terroir is Chardonnay. 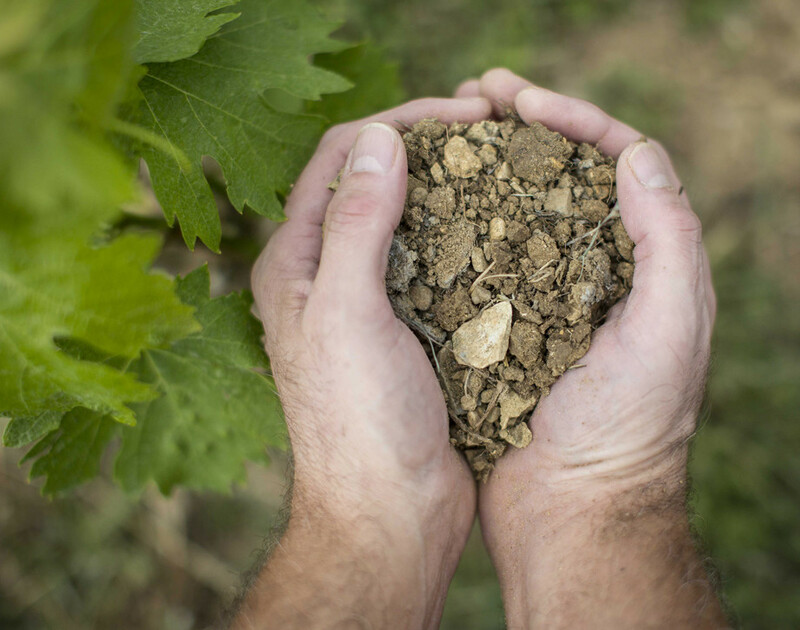 The vineyards are on soils rich in fossil deposits with veins of clay that give the wine minerality and elegance. Soils originating from sedimentary deposits of marine fossils with veins of clay.